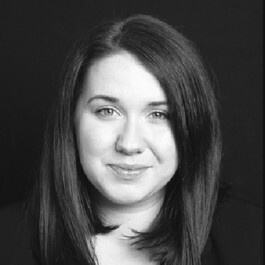 Ellen Shaw was called to the bar in 2014 and has a mixed criminal and civil practice. Ellen practices in criminal, regulatory, civil and immigration law. Ellen has been instructed to both prosecute and defend in the Magistrates’, Youth and Crown Court in a wide range of cases including offences against the person, dishonesty, drugs, sexual offences, intellectual property, driving offences, breach proceedings and cases involving proceeds of crime applications. Ellen is a level 1 Crown Court prosecutor, as well as receiving regular instructions as a private prosecutor in the Magistrates’ and Crown Court. Ellen is regularly instructed by the Greater Manchester Police to advise on cases concerning legal professional privilege which are often multi-handed complex fraud cases. Ellen also has particular expertise in driving matters and has been working with the British Horse Society and police from Greater Manchester, Lancashire and Cheshire on their “Dead Slow” campaign. Ellen is developing experience in regulatory matters, she assisted David Balcombe QC on fitness to practice proceedings in the MPTS, helping to represent a Doctor in a complex case brought by the General Medical Council. Ellen was also instructed to assist Andrew Thomas QC as part of the prosecution team on a high profile health and safety prosecution and she also undertakes training courses demonstrating cross-examination to Environment Officers and legal professionals from a number of local authorities. In her personal injury practice, Ellen has been instructed by both claimants and defendants, and appears in the County Court in road traffic accident cases at portal hearings and at trial (both on the small claims and fast track). She also has experience of cases which involve credit hire and regularly advises on liability and quantum in a range of personal injury matters. In her immigration practice, Ellen has appeared in the Immigration Tribunal on numerous occasions, acting both for the Home Office and the Appellant. Ellen’s experience covers a number of areas but she has particular experience with asylum matters.